I have conducted critical walking, bike and bus tours of St. Louis for over a decade, in formats ranging from a bike tour of the relationship of architecture to native geology to a squatters’ tour of abandoned housing suitable for squatting. Audiences have ranged from the general public to art collectors from the Harvard Fogg Museum and all points in between. Eventually I created the Department of Walking as a critical tourism platform, although it is still in an early phase of development. 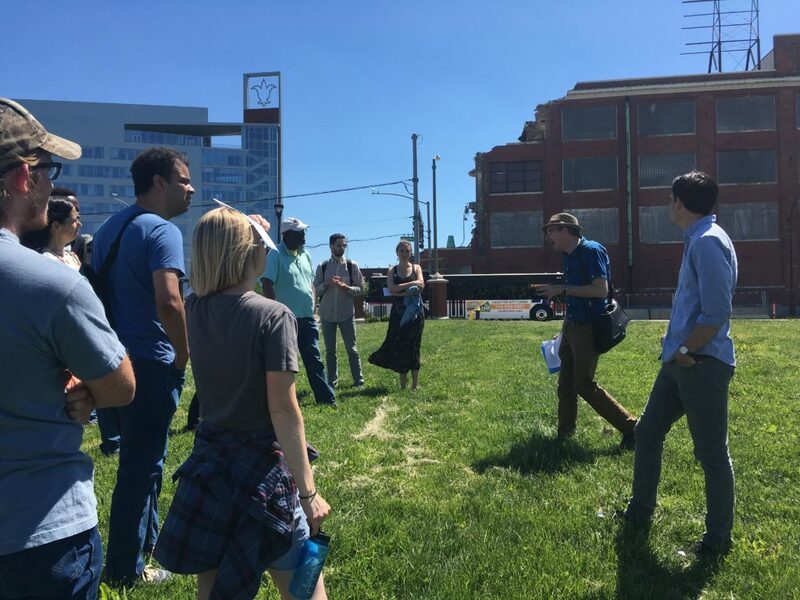 If you or a group is coming to St. Louis and want an experiential tour that unpacks embedded histories of capital, labor struggle, racial segregation, regionalism in architecture, urban renewal and deeper colonial pasts, send me a note at michael@michael-allen.org. I like to walk the spaces in between the spaces that seem to answer our questions. There are new questions lurking, new clues that change how we see the city. Perhaps we can work together.